Cindy Cummons graduated from OSU with a Masters of Social Work in 1988. She specialized in clinical work with families and children. She has worked for various agencies focusing on clinical work with individuals, families, children, play therapy and training for a variety of mental health issues. She also spent many years teaching future social workers at a local college. Cindy became a licensed independent social worker in 1991 and since then has added the supervision designation. 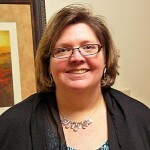 In 2011, she founded Bridgewater Counseling and Consulting Ltd. and started the journey of private practice. 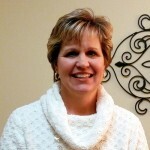 Most recently, Cindy became a Certified Trainer in the Nurtured Heart Approach. This approach focuses on helping families with intense, ADD, oppositional children. The focus of the approach is to help parents become the parent their child needs. Finally, after years of working in a secular environment, Cindy is blessed to be able to use a Christian perspective with clients. Her focus is on drawing out individual strengths as well as nurturing the spiritual dimension of life. She finds this technique to be especially helpful with people affected with anxiety and depression. Nikki Kennedy graduated from Ohio Dominican University in 1994 with a Bachelor’s Degree in Education. She then when on to receive a Masters of Social Work from the Ohio State University in 2002. While she currently specializes in clinical work with adults and married couples, she began her career working for agencies serving a broad range of individuals and families with an equally broad range of service needs. Her experience includes home based and emergency services work as well as traditional clinical practice, which is her current treatment method. She established her private practice four years ago and is a licensed independent social worker with a supervisory designation. Nikki bases her professional approach on her Christian value base, and strives to offer an environment of emotional safety, positive regard and caring to everyone she serves.